Costs – Find out what your average cost will be to trim, cut, prune or remove your trees and stumps in the windy city of Chicago, Illinois. FAQs – Have you seen the tallest tree in Chicago or know the state tree (hint: it’s changed)? Also find information on what kinds of trees are common in the city and codes set for handling tree maintenance around power lines. 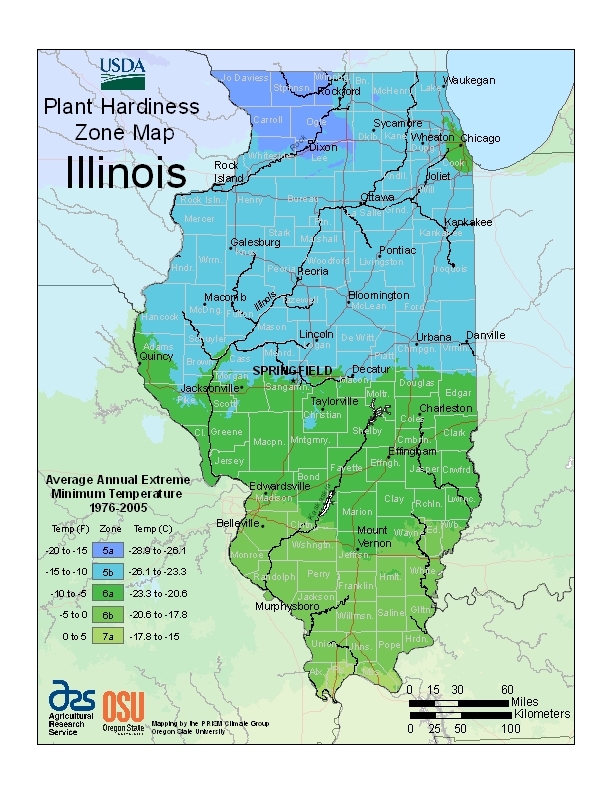 Know what diseases and insects might be on your trees so you can care for them and see a map of plant hardiness across the state of Illinois. Services – We have a long list of professionals in the Chicago area who can help you with any and all services pertaining to tree maintenance and removal. If you have trees on your property that need to be removed, you may be tempted to ignore the problem rather than handle it right away. However, leaving fallen or dying trees can cause problems in the future, and it may even lessen the value of your property or cause damage to your home. If it the unknown expense that concerns you the most, use this guide for help. Here are some of the typical costs you can expect for services like tree removal, stump grinding, trimming and more in the Chicago area. The average homeowner in Chicago can expect to pay anywhere from $535 to $723 to have a tree removed in the city. Keep in mind that this cost will depend on the size of the tree and the kind of property that surrounds it. Chopping down and hauling away a large tree in a suburban area will be more expensive than the same task in a rural area. Fallen trees are much more affordable to remove, and you may get a discount if you offer to sell the tree as firewood. The average cost a Chicago homeowner will pay for tree removal services will be around $629. Online estimates indicate that Chicago residents who want a large tree stump ground up will pay around $150. The rate may go down per stump if you have more than one to remove. Stump removal, which involves the complete uprooting and hauling away of the stump, will cost between $500 and $600. It is nearly impossible to give an accurate figure for tree trimming, pruning and cutting in Chicago. This job varies so much from property to property and depends on the number of trees being maintained as well as the height of the tree. The price ranges from $375 to $545, depending on factors like the number of trees and the state they’re in when the arborist first comes out to survey and work on the trees. However, the average tree maintenance project price in Chicago for this kind of work is approximately $460. Chicago is a big urban destination, but there is also plenty of flora that gives life to the area. Whether you are planning to plant a few new fruit trees or just learn about tree removal regulations, this guide can give you all the answers you need. What are Chicago’s Tree Regulations? If you live within the city of Chicago, you are not allowed to remove any trees on your property without a Tree Work Permit. These permits are issued by the Bureau of Forestry, and you need to keep the permit with you when you begin the removal. Whoever removes the tree will also need to have a certificate of liability insurance in case the removal process causes damage to any property in the surrounding area. In the case of a storm with strong winds, the tree’s branches may affect the power lines and cause an electricity blackout in the neighborhood. If you are concerned about your trees or the trees lining the city streets and their proximity to power lines, contact the Bureau of Forestry. They trim 100,000 trees annually within Chicago, and most of them are by request from citizens. When is the Best Time of Year to Remove a Tree in Chicago? If there is a tree that is a threat to your property, it should be removed right away. Otherwise, the best time to remove trees in Chicago is during the winter. When the ground is frozen, tree removal will cause the least amount of damage possible to your landscape. Plus, winter is the time of year when tree maintenance and removal services have the most time. What Trees do Best and Worst in Chicago? Chicago Trees recommends growing maple trees in the city because they grow quickly and are cost-effective. 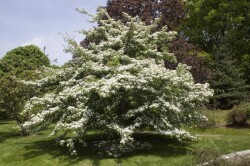 Some of the trees that the Chicago Park District suggests that residents grow include the flowering crabapple, the sugar maple, the red maple hybrid, and the cornelian-cherry dogwood. The trees that are the most difficult to maintain are citrus trees. They need to be brought inside during times of frost, which requires a lot of effort, space and planning. Since the weather drops below freezing often during Chicago’s winter, most tropical fruits are not able to grow in the city. However, there are plenty of alternatives for fresh fruit in Chicago. Apples, pears and plums do best in the colder temperatures, and some hardier cherries can also withstand the winters. The biggest problem identified for ash trees in Chicago is the emerald ash borer. Common diseases affecting maples in Chicago include anthracnose, sapstreak disease and maple wilt. What are the Most Common Trees in Chicago? There are a number of different types of trees in the city of Chicago. Ash, poplars, maples and oaks are the most commonly found both on private land and in city parks. 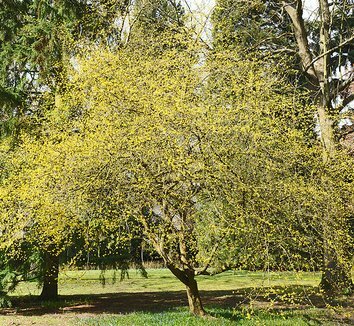 Some of the most beautiful include the lindens, glossy hawthorns and ginkgos. If you want to spot the tallest tree in Chicago, it can be found in Ada Park. Look for the cottonwood tree (Poplus deltoides) that stands at over 60 feet tall. The official state tree of Illinois is the white oak (Quercus alba). Illinois is one of the few states that has actually changed their state tree. It was the native oak until 1973 when it changed due to a poll of almost one million Illinois schoolchildren. Both types of oak trees can be found throughout the city of Chicago. Call a pro below or have pros call you with FREE quotes. Tree and stump removal projects and be very dangerous. It is best to let a professional tree removal company handle this type of project. They can handle it safely and quickly.